The first 800 registrants before Friday, 30 Nov, will receive race shirts, if you can choose your shirt size during registration that means we have a shirt reserved for you! Folks who register on Friday or Saturday will get shirts on a first-come first-serve basis at packet pickup. The first 250 10K Finishers ALL get a Jingle Bell Jog Finisher's Medal! Although chip times will be taken, ALL awards, Age Group,Overall , Master, and Grand Master are based on gun time. So if you are in the hunt for an award, start near the front. You can register online until race start, but we urge you to pickup your packet on Friday or at 7am on Sat to avoid long lines. 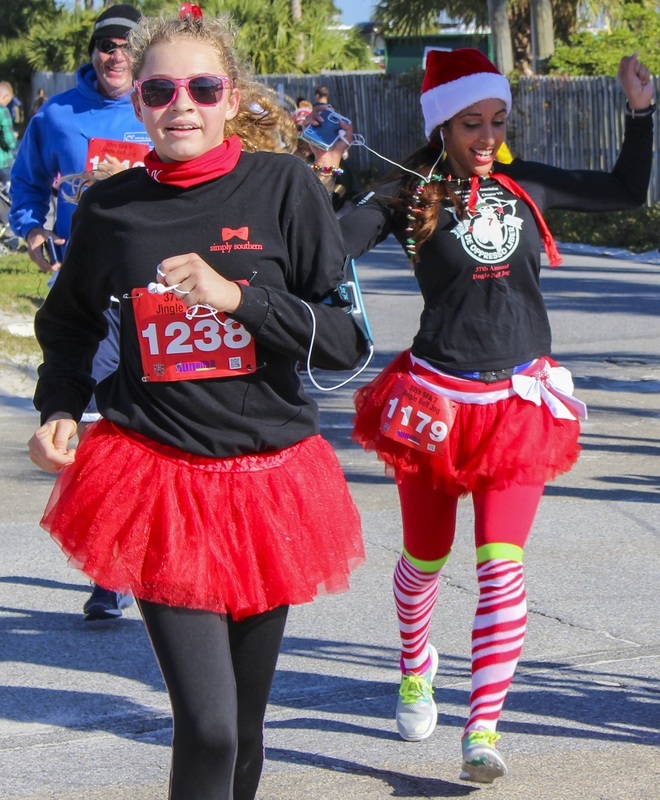 Early Packet Pick-up will be Friday, 30 Nov at Run With It in Ft Walton Beach from 11am-5:30pm. Day of packet pickup will start at 6:30am at the race start area inside the Santa Rosa Mall. 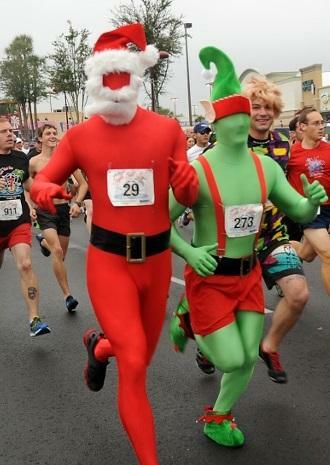 5K/10K races will start at 8am sharp from The Santa Rosa Mall in Ft. Walton Beach/Mary Esther. All participants will be chip timed start and finish. The route is an out & back that will run on closed streets around the mall area. There will be a water station at both turn around points. Due to new insurance restrictions, dogs are NOT allowed in or at the race. Strollers ARE allowed, but we ask that you please start at the back of the race to lessen the risk of accidents at the start. Kid's Fun Run: 9:30am start. Aprox 1/2 mile route around mall parking lot. Each kid will receive a custom Jingle Bell Jog Dog Tag medal! Must be 11 years or younger (parents may accompany very young children). The after party will be in the Santa Rosa Mall featuring food by Subway, raffle drawings, and music throughout the day, so come out and join the fun whether your are participating in the race or not! Runners are treated to free beer and food. Non-runners are welcome to purchase food and drinks at the food court. We can't wait to see you in december!